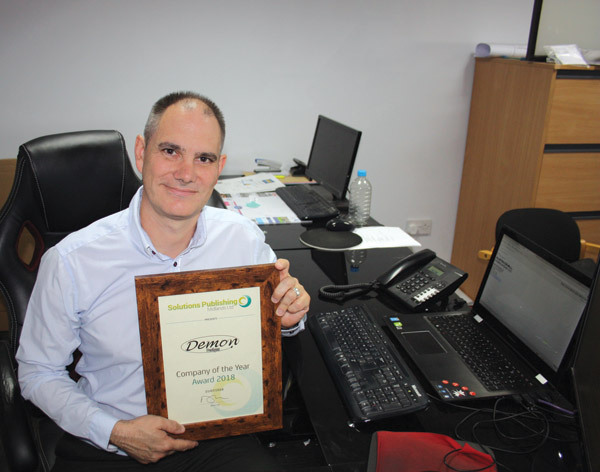 Building Update is proud to present Demon Designs as our 2018 Design Company of the Year, specially chosen in light of their consistently excellent design solutions. Demon Designs specialise in providing a range of bespoke solutions for glass and metal structures, offering consultancy, design and build solutions that meet client’s requirements, in addition to a range of off-the-shelf products. The company was established in 2011 by Dominic Meakins, who nurtured the company from its conception, raising it from strength to strength. Dominic has over 20 years of industry experience, backed by a team of highly-skilled workers, whose manufacturing know-how is second-to-none. The company offer a range of solutions that comprise of: automatic entrances, shop fronts and glass canopies, and sliding glass doors, beside their renowned bespoke doors. The company also provide a variety of consultancy options, pre-manufacture, that compose of detailed quotes, technical drawings and any other required information. The company’s product list includes: coloured splashbacks and glass worktops, balustrades, Juliette balconies, flush glazed doors, shower screens, sliding glass doors, a range of CAD design services and toughened laminated glass, which can be supplied from 4mm thickness to 19mm. 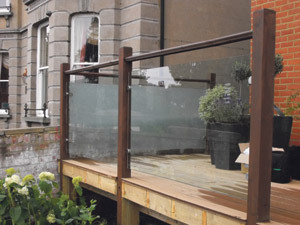 Moreover, for clients looking for structural glass solutions, the company provide design, labour and lifting solutions for partition companies and glazing contractors, in addition to the installation of shop fronts and shower screens. Furthermore, the company’s range of acoustic doors expanded a couple of years ago, to include a newly designed range of fabricated double glazed acoustic doors that are individually made, and which can achieve up to 44dB (RW) acoustic performance. All doors are stunningly presented with a polished finish, boasting sound reduction qualities and an overall refined, distinctive look. In addition to their services, Demon Design also delivers exceptional customer service, working closely with clients to guarantee that specifications are met with custom solutions. This is conceived during the initial consultancy session, where requirements are mapped out and discussed so that both developers and clients are on the same page when it comes to the manufacture. This was notably praised, for example when Demon Designs carried out a project for Walkie Talkie, installing a range of shower screens, kitchen splashbacks and new automatic doors at Walkie Talkie’s London building on Fenchurch Street. Such a bespoke service has been acclaimed in a variety of client testimonials, who have admired the company’s flexibility during the production and design process. The team have been commended for their incomparable experience in glass-product manufacturing and development, and due to this world-class reputation, have been able to offer industry competitors design consultancy services. If you would like to get in touch with Demon Designs, contact them on the number listed below. Alternatively if you would like to view an extensive range of their design, manufacture and installation services, feel free to visit their website. This entry was posted in Featured Building Update and tagged Architectural Glass, Metal Structures. Bookmark the permalink.